Minimally invasive surgery (MIS) using the erbium, chromium: yttrium-scandium-gallium-garnet (Er,Cr:YSGG) laser (Waterlase MD, Biolase, Irvine, CA) to treat moderate to advanced periodontal disease is presented as an alternative to conventional therapies. To date, there are few short- or long-term studies to demonstrate the effects of this laser in treating and maintaining periodontal health. 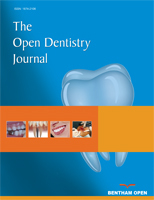 Electronic clinical records from 16 patients – total of 126 teeth, with pocket depths ranging from 4 mm to 9 mm – were treated with the same protocol using the Er,Cr:YSGG laser. The mean baseline probing depths (PD) were 5 mm and clinical attachment levels (CAL) were 5 mm in the 4 - 6 mm pretreated laser group. The mean baseline probing depths were 7.5 and 7.6 mm for PD and CAL respectfully in the 7 – 9 mm pretreatment laser group. At the 2 year mark, the average PD was 3.2 ± 1.1 mm for the 4-6 mm pocket group and the 7-9 mm pocket group had a mean PD of 3.7 ± 1.2 mm. mean CAL was 3.1 ± 1.1 mm for the 4-6 mm group and 3.6 ± 1.2 for the 7-9 mm group with an overall reduction of 1.9 mm and 4.0 mm respectively. At one and two years, both groups remained stable with PD comparable to the three-month gains. The CAL measurements at one and two years were also comparable to the three-month gains. Keywords: Periodontitis Laser, Er,Cr:YSGG, Non-surgical periodontal therapy, Periodontal therapy. © Dyer and Sung; Licensee Bentham Open.